Celebrating Summer, and our CEO’s birthday we decided to present you with a special offer. 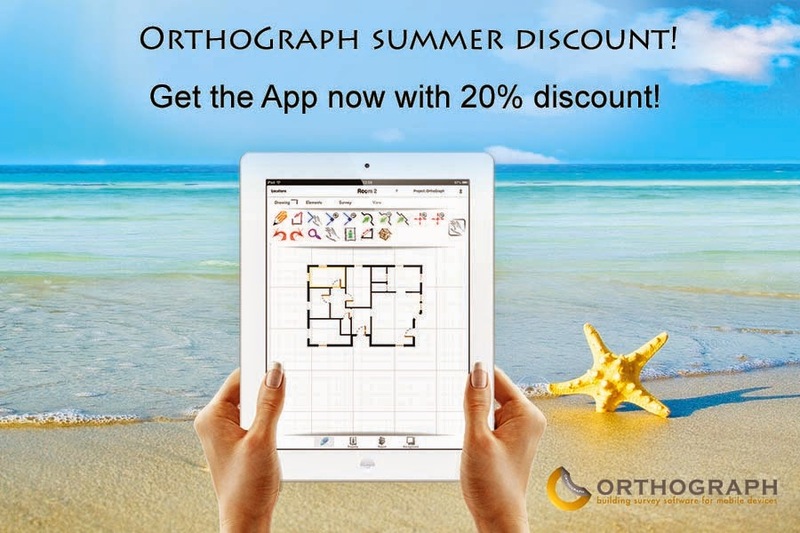 Buy OrthoGraph Architetct, the professional building survey application for iPad with 20% discount today. From now on till the next update you can buy OrthoGraph Architect in the Appstore for $80. it’s 16 unique features that makes OrthoGraph outstanding.